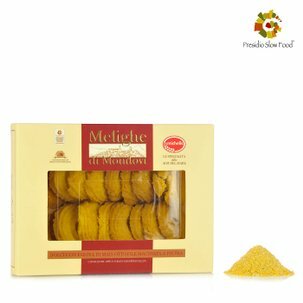 Presenting the classic biscuits from the Cuneo valleys: paste di meliga, a delicious Slow Food presidium. 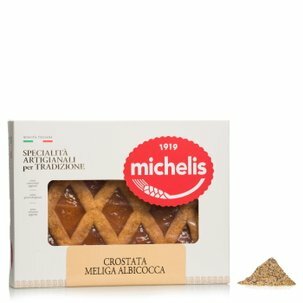 Eataly has selected the very best, lovingly made by Egidio Michelis. 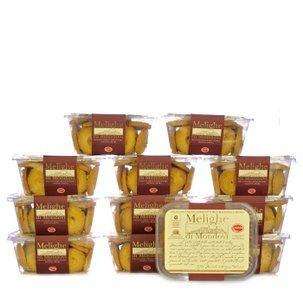 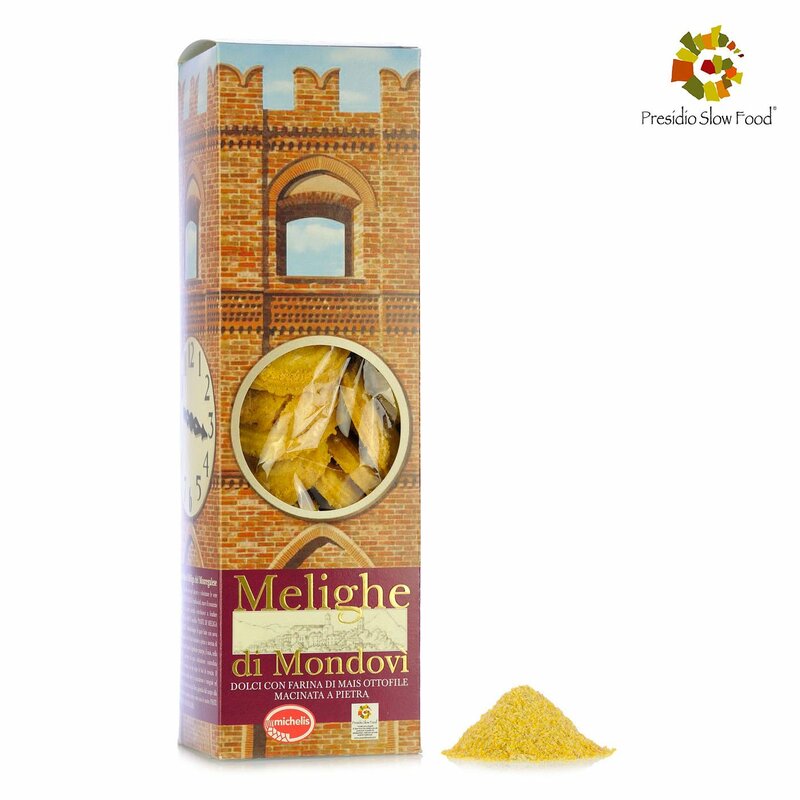 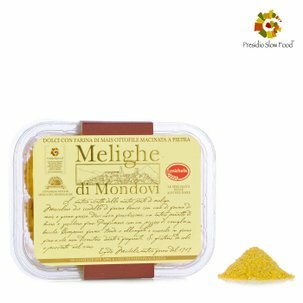 With their enticing golden colour and distinctive fragrance, true paste di meliga are made from a few simple ingredients: fresh eggs, premium quality butter, and locally sourcedstone ground flour without the use of artificial flavouring. Try dipping them in a well-matured glass of Barolo or serve them with zabaione for a delicious energy boost!